What if the first Crusades weren’t against the Middle East but against very real fey in the British Isles many centuries earlier? 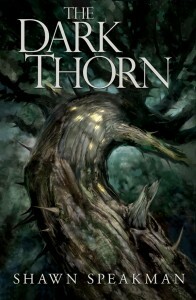 This is the question that led to The Dark Thorn, Book One in the Annwn Cycle. Richard McAllister, a spiritually destitute homeless man and Knight of the Yn Saith, protects one of seven portals linking his world to that of Annwn, where the fey Tuatha de Dannan of antiquity have been relegated by a long-running religious war. It is his role to keep Annwn, known as Avalon during the time of King Arthur, separate from our world. As with many of life’s trials, Richard’s path is not an easy one. The Annwn Cycle, a series of stand-alone novels, tells that story. There will also be a number of short stories set in the Annwn Cycle. More will be posted on them as they are written and published. Welcome to Annwn, land of the Tuatha de Dannan. Enjoy your stay!